Don’t tell our kids, but I think Rosie’s my favorite. 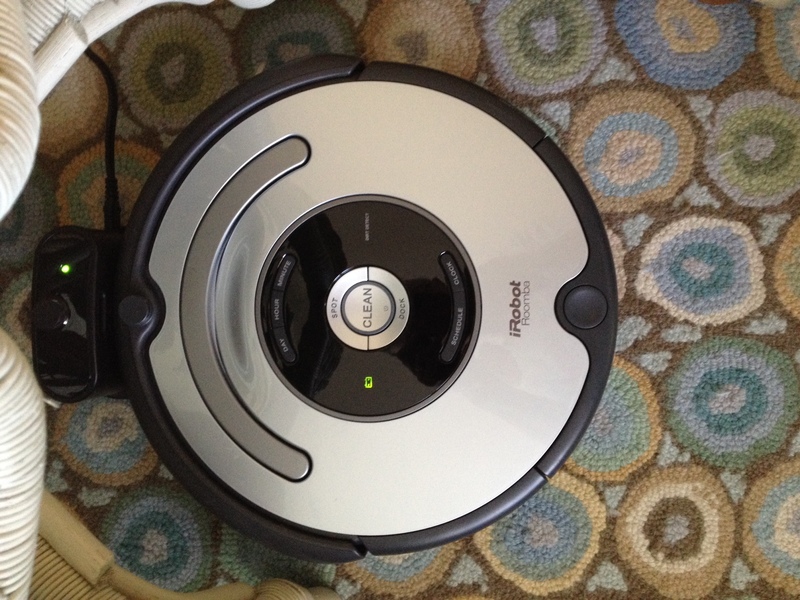 She costs less than either one of our children, vacuums the floors daily if I want, goes to her docking station when told, and she doesn’t talk back. Rosie is a little noisy, but I enjoy hearing her work while I’m writing or, better yet, while I’m napping. When a friend asked the pros and cons, I had to be honest and let her know my skewed vision has kept me from seeing even one negative thing about our Roomba. I mean, she does gently bump the edges of some furniture and the walls, but I appreciate that she cleans spaces my upright vacuum never did. In fact, that’s one of the things I like best about her. I no longer have to look at dog hairs under our cabinets and along the baseboards in every room. You may have already guessed, I named Rosie after the maid on my all time favorite cartoon, The Jetsons. Our Rosie is just as endearing and a whole lot smarter than the original one. She does require a little maintenance, but I don’t mind because cleaning her out means I get to see how hard she’s worked on our floors. 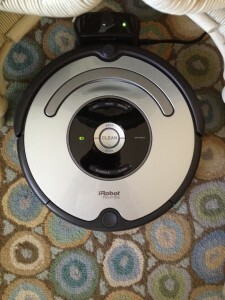 Rosie is the pet version on sale at Costco, iRobot Roomba 655 Pet Series Vacuum Cleaning Robot. We invested the money because our dog sheds a lot and because our dog’s mom (me) is kind of obsessive compulsive about getting rid of all dust, dirt, and pet hair. Her online reviews are good. From 83 reviews on Costco’s site, which, by the way, is the cheapest place we found to purchase her in person and online, Rosie got four and a tiny tip of the fifth star out of five. I’m delighted with Rosie’s performance, so I take really good care of her just like it says in the 600 Series Owner’s Manual. Surprisingly, I read it cover to cover … that’s how important she is to our household. Here’s what I do. Some of these tips aren’t in the instruction manual and are only suggestions. Empty Rosie’s canister and clean her parts after every single vacuuming even when I run her in only one room. Empty Rosie after about 30 minutes of vacuuming if the floors are especially dirty. She runs more than an hour. 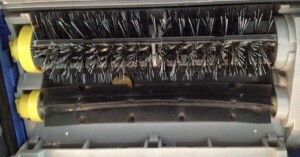 Use the plastic tools to clean her more thoroughly. The tools remove hair that I don’t always see in the brush. Wipe Rosie’s face (okay, faceplate) and her rubber brush with a damp paper towel. Allow parts to dry completely before putting her back together. Wash her filter. The manual says to replace it every two months. Instead, I’ll wash it once or twice, then replace it every six months or so. I’ve already washed it once, let it dry thoroughly for a couple of days, and it worked fine. 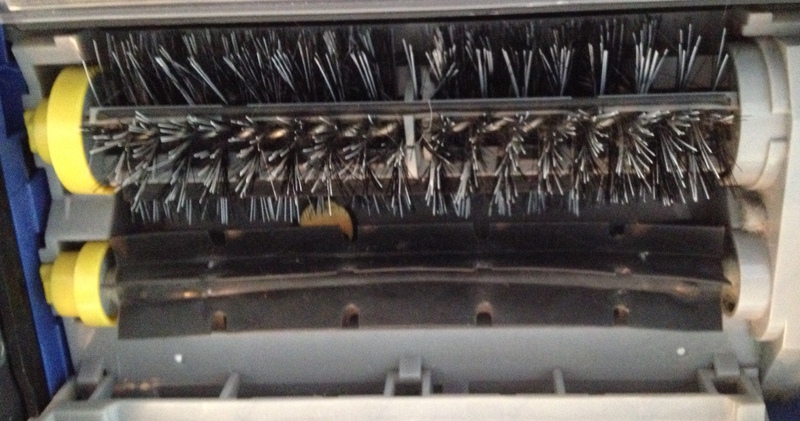 Remove hair from around the edge of both ends of the bristled brush and the rubber brush, as well as from around the front wheel that pops out when pulled. 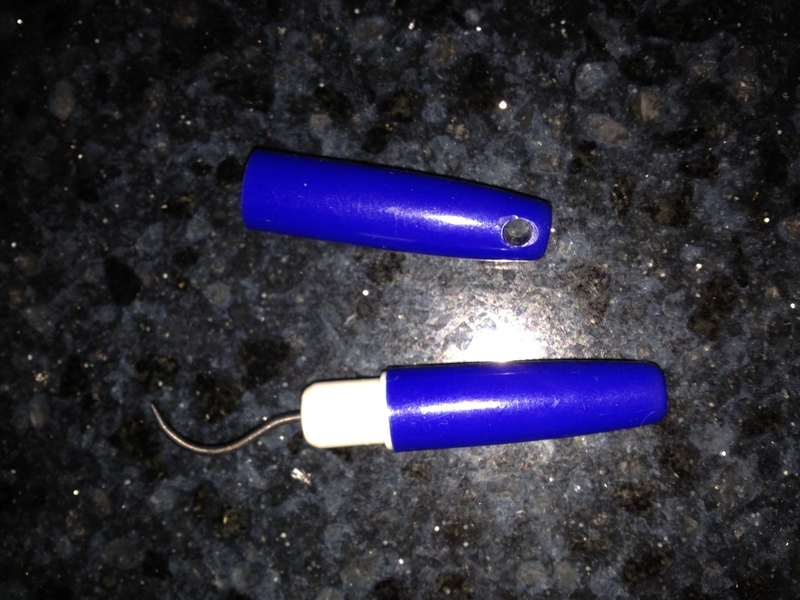 Sometimes I use a dental tool (pictured), but be careful not to cut Rosie or your fingers. I hope you enjoy Rosie as much as I do. Be clean! Note: If you have comments, feel free to leave them on our Facebook page. We’d love to hear from you. The comments on our blog are closed because of crazy automated spam.